A selection of quirky, surprising, or just plain interesting facts about Ireland. This page holds a selection of interesting facts about Ireland's history, society, and environment –  both built and natural – and its place in the world today. Ireland's Wild Atlantic Way became the longest defined coastal drive in the world when it launched in 2014. The 2,500 km (1,553 mile) route hugs the coast all the way from Inishowen in County Donegal to Kinsale in County Cork. Watch Failte Ireland's promotional video below to get some idea of the fabulous scenery along the route. Ireland was the last country in Europe to permit divorce. It was narrowly approved by a 1995 referendum when only 50.28% voted in favour (this was three percentage points more than at the previous referendum in 1986) and the first-ever divorce granted in Ireland was in 1997. Irish law allows couples to divorce only if they have been living apart for four years. In 2015, Ireland had the lowest divorce rate in Europe and the third lowest in the world, behind Chile and Mexico. The Dublin Spire on O'Connell Street (which some say is the tallest sculpture in the world, but I can't confirm the claim) was built to withstand inner-city atmospheric conditions, pollution and lighting, and to survive for at least 120 years. It cost 4 million euros, so you'd expect it to last! It's official name is the Monument of Light, but everyone calls it the Spire or the Spike (or one of the somewhat ruder nicknames that I won't include here!). The Spire is 3m in diameter at its base and 150mm diameter at the tip, exactly 121m (396 feet) above, where the sway is 1.5m in any direction. Its weight of 130 tonnes is held down by 48 bolts. 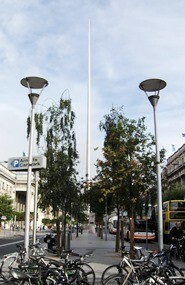 Having taken five months to manufacture, the Spire has graced Dublin's best-known street since January 2003. The man who wrote the Red Flag, the anthem of the International Labour Movement, was Meath man Jim Connell. Born in the village of Kilskyre, not far from Kells, in 1852, he went on to become a socialist agitator and journalist, and penned the famous lyrics in 1889. He died in 1929. Ireland is a member of the United Nations but not a member of NATO. Although the shamrock is probably the best known, internationally, of all Irish symbols, the official symbol of Ireland is the Celtic Harp. As you can see, left, it's also on the country's coinage. Although the shamrock is probably the best known, internationally, of all Irish symbols, the official symbol of Ireland is the Celtic Harp. As you can see above, it's also on the country's coinage. The Cliffs of Moher overlook the Atlantic Ocean and are Europe's highest cliffs. 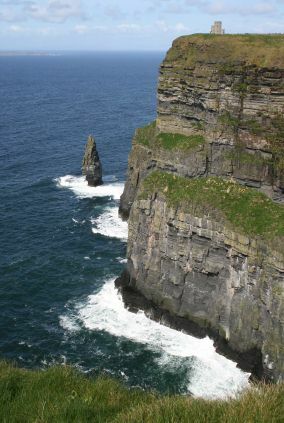 They stand 214metres (702 feet) tall at their highest point and stretch for 8 kilometres (5 miles) along the coast of County Clare in the west of Ireland. Having achieved more than one million visitors for the first time in 2015, the nearby Visitor Centre saw a further increase in visitor numbers in 2016; a total of 1,427,166 people arrived at the Clare County Council owned Cliffs of Moher Visitor Experience. It is owned by the local county council which has made major investments in facilities in recent years, not least the launch of the 12km Cliffs of Moher Coastal Walk. It's high status on the 2,500km Wild Atlantic Way has contributed to its growing popularity. 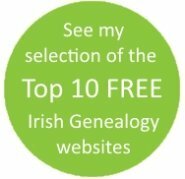 Ireland was one of the earliest countries to establish a system of hereditary surnames. Originally, the forms were limited to prefixes ie Mac (meaning 'son of') and 'O' (meaning descendant of). It's a myth that Mac prefix suggests Scottish descent. It's as Irish as 'O'. During the 18th and 19th centuries, many families dropped the prefixes, but they started to re-emerge in the late 19th century and throughout the 20th. Some names, however, never did 're-attach' the prefix. Murphy is one of these. In the 1911 census, it was the most numerous surname, with 55,535 Murphys recorded. 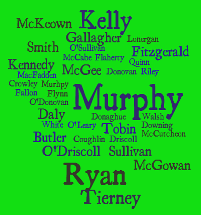 Only three families (12 people in total) called themselves O'Murphy. The first steamship to cross the Atlantic was the Sirius. It left Cobh (then called Queenstown) in 1838 and took 18 days to cross the Ocean. There's no point denying it. It rains a lot in Ireland. But possibly not as much as you think. According to Met Eireann, Ireland's meteorological service, the average number of wet days (days with more than 1mm of rain) ranges from about 150 days a year along the east and south-east coasts, to about 225 days a year in parts of the west. However, there was considerably more than that falling from the sky in November 2009, resulting in the worst floods in living memory. More than twice the average monthly rainfall was measured, and more than three times the average fell in some places. After 30 days of steady rain, the Lakes of Killarney overflowed, the River Shannon had become a lake, the city of Galway was practically cut off, and the city of Cork was under 1m of water after the River Lee burst its banks. 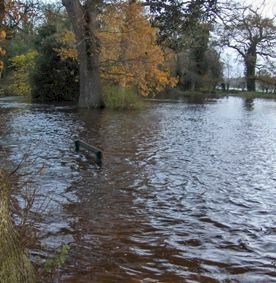 It was the third year in succession that the Atlantic coast counties had experienced record rains, but flooding also hit parts of Carlow, Tyrone and Fermanagh. The Celt's love of the horse has passed down the generations to produce a society that is nuts about horseracing. There are 26 racecourses across the island (more per head of population than any other country in the world, according to Horse Racing Ireland, the organisation responsible for the sport), but it is the Curragh, in County Kildare, which is the most famous and which hosts the largest and most valuable meetings. The Derby was established there in 1866, the Oaks in 1895 and the St Leger in 1915. 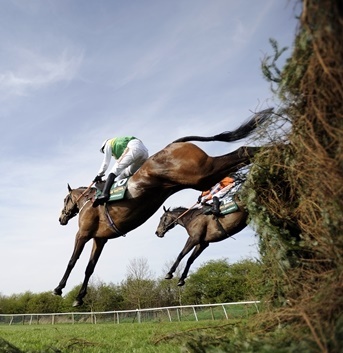 Despite the Curragh's long connection with racing, it was County Cork that witnessed the first steeplechase. It took place in 1752 when Edmund Blake and Cornelius O'Callaghan challenged one another to a race to establish which had the better horse. The rivals started out from the steeple of St John's Church in Buttevant and had to clear all obstacles – streams, walls, fences, gates – before reaching the steeple of St Mary's in Doneraile, 4.5miles away. Blake won. There's a large bronze plaque memorial to the event in Buttevant. There are two types of bogland  Blanket and Raised Bog  and Ireland is rich in both. About 8% of the world's blanket bog lies within its shores, and the island is the most important area in Europe for Raised Bogs. Bogs are important for all manner of reasons, not least that they help to maintain reliable supplies of clean waters to rivers, and provide some of the last true wildernesses on our crowded planet. Thanks to their cold, acidic and oxygen-free conditions, they also prevent decay so they have also produced some of the most spectacular finds of Irish archaeology, including remarkably well-preserved bodies of some of our ancestors. Among these were the 2006 discoveries, 25 miles apart, of two mummified male bodies. One of them was so well preserved, with his manicured nails and gelled hair, that his discovery initially sparked a murder investigation. Archaeologists were eventually called in and dated him to about 362 to 175 BC. In Ireland, both north and south, lakes are called loughs. The largest is Lough Neagh, near Belfast, followed by Lough Corrib in co Galway. The River Shannon is the longest river in the geographical British Isles. It passes through three of the island's historic provinces (Ulster, Connaght and Munster), but is connected to the fourth province (Leinster) and Dublin by the Royal and Grand Canals. In a report published in 2010, Ireland's National Biodiversity Data Centre identified the Burren as the most important habitat in Britain and Ireland for a very rare and threatened species of bee: the Great Yellow Bumblebee. The report also confirmed that previously unknown colonies of the rare Shrill Carder bee and the Red Shanked Carder bee had been found, making the Burren one of the principal sites for bumblebee conservation in Ireland. The contribution bees make to agriculture and the horticultural sector in Ireland is estimated to be worth Euros 50m each year. Unfortunately, of the 101 different species of bee in Ireland, around 30 are now threatened with extinction. The Burren features three-quarters of all the species of bumble bee found on the island. There are many other special qualities about the Burren. 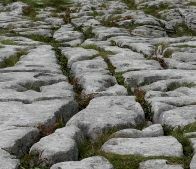 Lying in northwest co Clare, and covering about 250sqkm, the Burren is one of the largest areas of karst limestone pavement in Europe. This weird lunar landscape , which includes both mountains and valleys, is bleak and grey and strangely beautiful. 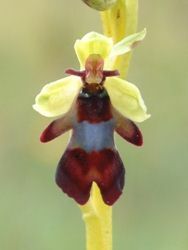 It is also home to many rare wildflowers and orchids. These include the fascinating Fly Orchid, pictured below, which, to me, looks as though Bee Orchid might have been a better name. For more information about this remarkable place and conservation efforts, make contact with The Burren Centre.